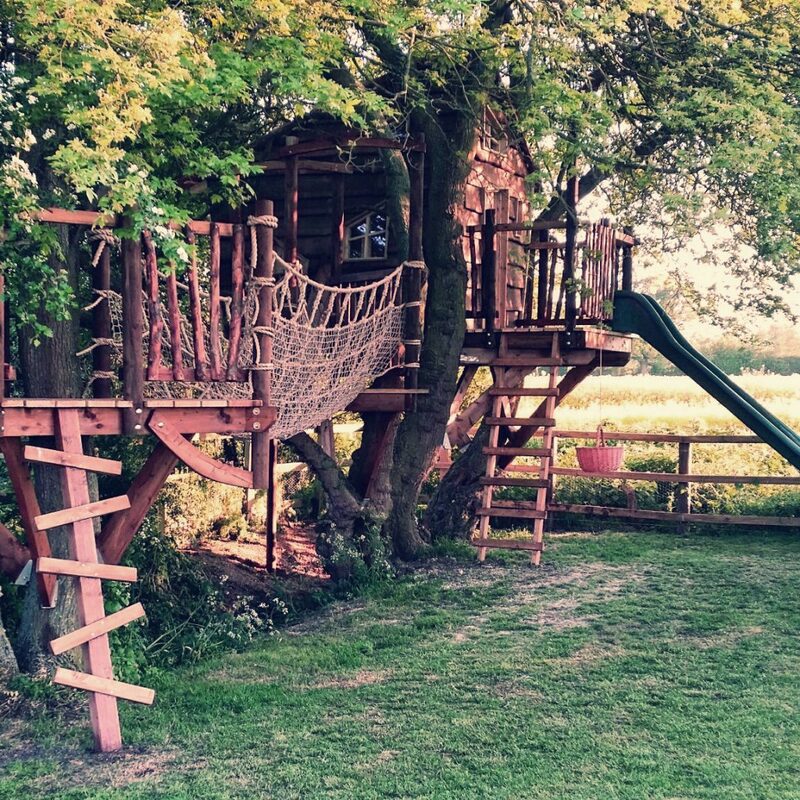 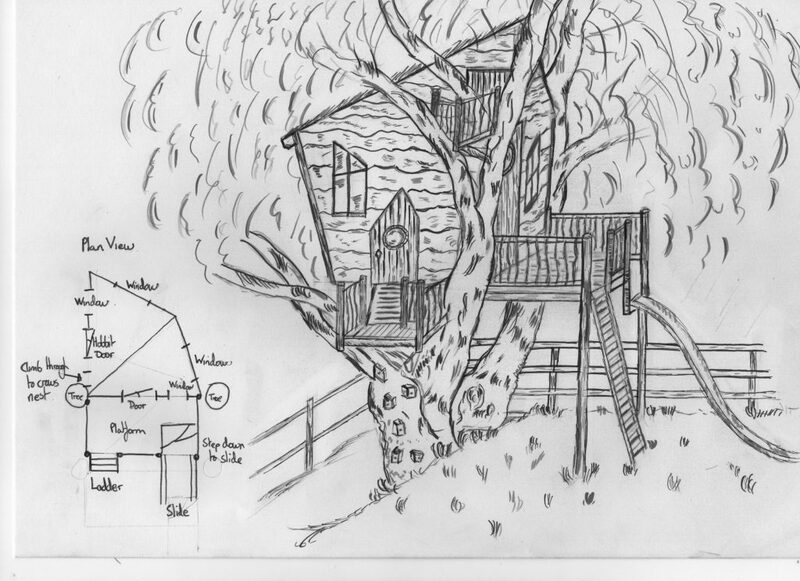 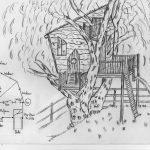 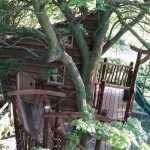 We were asked to design a quirky tree house which fitted into the tree line and provided lots of varied climbing equipment to play on. 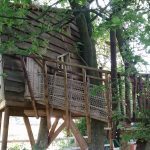 Their youngest had already developed a love of climbing and they wanted to get him elevated off the ground in a safe, fun environment. 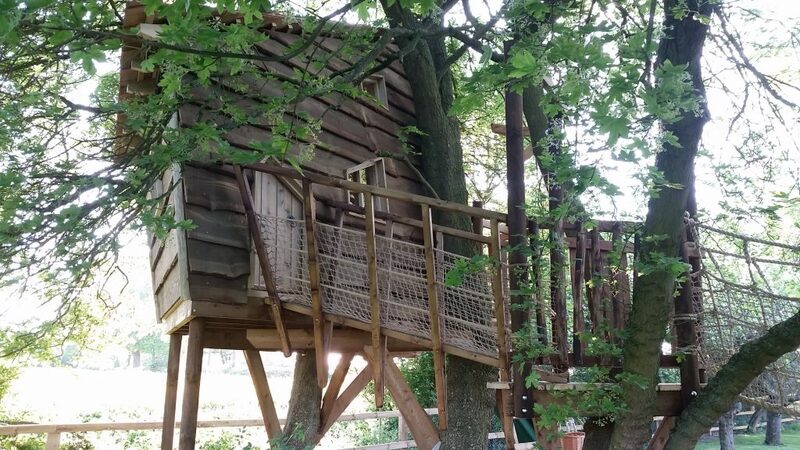 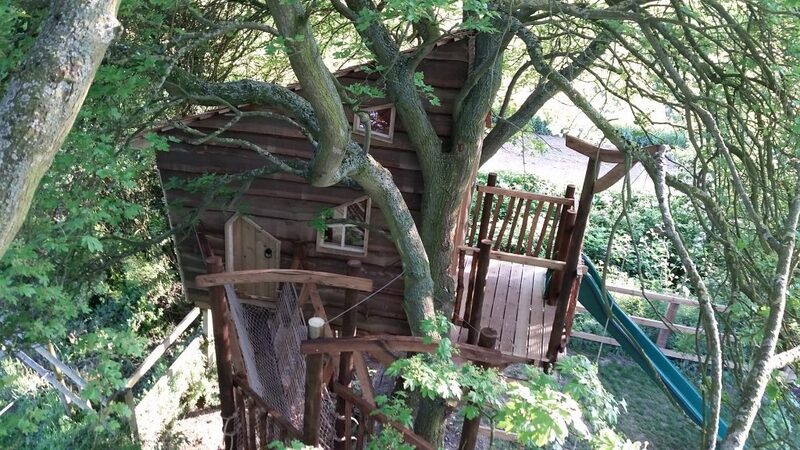 This was achieved by including a treehouse with plenty of weird shapes almost climbing up the side of the tree and then several different types of walkway leading off this to hanging ropes, climbing nets and blocks and a great big slide.